Back in May, details were thin on the ground regarding the new all-day concept by Zach Morris and Kelsey Bush, owners of Haverford’s Green Engine Coffee Co. We knew that it would open at 414 South Second Street (the old Cafe Nola space across from The Shambles between Pine and Lombard Streets), that they’d serve local Rival Bros. coffee, that Bush (a CIA graduate with some CookNSolo cred) would be involved in crafting the food menu, and that it would have a liquor license. That’s about it. Bloomsday Cafe (the name inspired by James Joyce’s Ulysses) will be an all-day cafe, yes, and coffee will still be a focus, but it’ll also feature a natural wine bar and bottle shop, too. Morris says the concept was a long time coming. In fact, Green Engine was originally supposed to have a liquor license of its own and operate as a coffee/bottle shop specializing in beer. But the cost of a “deli license” — or Eating Place (E) license — sky-rocketed, and Morris, who spent the last five years teaching at the Wine School and lives in the city, thought it better to take advantage of the PLCB’s new wine expanded permits. 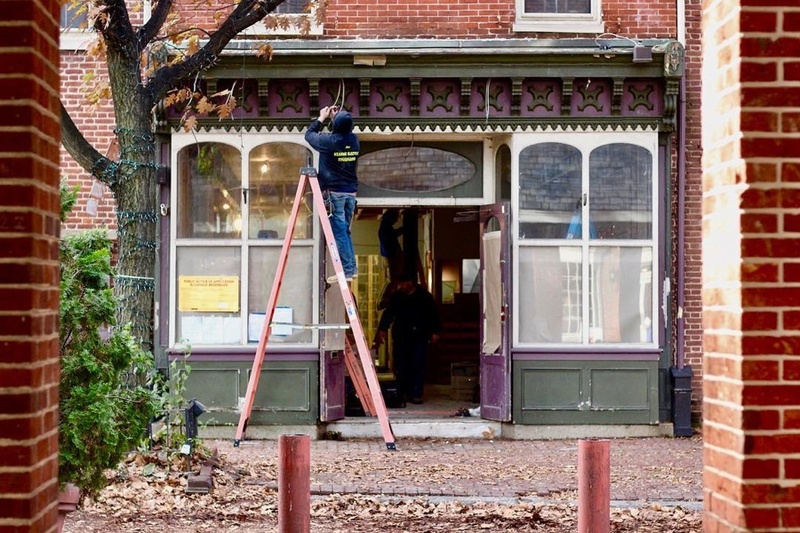 Morris and Bush are working alongside Philadelphia-based Ambit Architecture on the full-scale renovation of the 2,800 square-foot space, which includes a separate skylit bottle shop in the center of the the building with an adjacent “living room” also dedicated to retail wine, beer and cider, plus a classroom/event space in the back. Bloomsday’s opening is slated for early 2019. More details to come.